It’s fun to have eyes bigger than your stomach, especially when the gluttony is metaphorical and all you end up with is a pile of more books to be read. It’s even good to feel chastened by what I have not managed to read, because it tests my resolve, and I am determined to be a star Global Reader next year. Almost every cloud had a silver lining. In this year of failing spectacularly to curtail my book buying, I also read and finished more books on the very same day as buying them than ever before. I did not manage to listen to a single audio book, though I had pledged to do three, and that’s just fine because I’ve discovered that I’m just really, really not an aural learner. When I heard the news of Christopher Hitchens’s death last week, I put on God is Not Great and I listened to him read his own book and it was marvelous. It was also a reminder that few read as well as he, and in the absence of that kind of perfect match, I’d really rather just read my books. 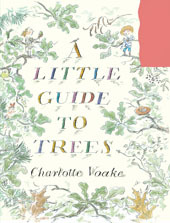 I was glad to have an inducement to read science books, and on the strength of my enjoyment of that challenge, I am pledging to make 2012 a year in which to read more non-fiction to the kids. History! Science! Exploration! My eldest just wrote an essay today on why Science is his favourite subject, and I’m looking forward to finding books that will nurture that interest. We’ve been so blessed to have shared so many hours tucked up with a good story, and I can’t wait now to explore excellence in children’s non-fiction. My version of the 1% Well Read challenge was to read from books recommended in 1001 Children’s Books To Read Before You Grow Up, and that was, by far, the most fun challenge of the year. Not much of a challenge, it has to be said, but delightful reading. And this is at the heart of what I discovered about challenges: too many are too easy for me because it is not actually a challenge to read books of Canadian fiction or children’s literature or mysteries because I read them already in great quantity. What is a challenge is staying in touch with others who read them, but I’m not interested in blogging about Canadian literature or children’s literature or mysteries, so it leaves me a bit stuck. I’m undecided about how to proceed with next year’s challenges, but having them has undoubtedly been a boon. I have read with more focus, zeal and pleasure this year than ever before, and I think that I have felt less of the sadness and stress of “so many books, so little time.” I’ve made the time, night after night, and at the end of this reading year, I am nothing but grateful for books. So that challenge did not go so well, and I have learned that abstaining from anything that I love is just a recipe for misery and guilt. I love books, I read a lot of them, I have a constitutional inability to return library books on time, I like to write in them, so I might as well own them. I will not be signing up for any more challenges that don’t allow me to buy books, and I’ve stopped apologizing for it. I was surprised to discover that the Chunkster Challenge was too much for me. I signed up to read four books of more than 450 pages, and I only managed two: The Moonstone, and Little, Big (still in progress, but I’m determined to get it done before the end of the month). I like a fast reading pace, and I found that I did not want to devote chunks of time to a chunkster. The first I read in the first week of January (reread, actually) because I was sick in bed and it ticked lots of reading challenge boxes. Then for the next 11 months, I was never drawn to a big book. I’ve turned to Little, Big in the last weeks of December because it also ticks several boxes, but it’s slow going and I resent it a little. One should not resent the book one is reading; it rather defeats the purpose. As a person who has lived in nine countries, I am appalled to tell you that my Global Reading Challenge was a total bust. Two out of seven continents: Europe and North America. Dreadful. Must do better next year. I lost interest in doing my updates of my reading challenges half way through the year. No particular reason, I just did not feel like writing about it. And last, and most regrettably, I did not do much in the way of connecting with others who were doing the same challenges. It was not the community-building exercise I had hoped it would be, which is a passive way of saying that I did not make enough of an effort to connect. What I have done, though, is to deepen my friendships with the book lovers I already know, and some I’ve met through this blog, and that has been a pure delight. My ego is a little bruised by having bitten off more than I could chew in some cases, but my bibliophilia is more robust than ever after a year of reading in a more planned and conscious way. I will choose my challenges with a bit more caution for 2012, and with a better sense of who I am (not just who I want to be) as a reader. I will be reading by the sea for the next few weeks, and what better way to kick it off than with Read by the Sea in River John? Richard Wright, Johanna Skibsrud and Alexander Macleod. I can’t wait! I’ve added their books to my not insignificant load to haul across the country. 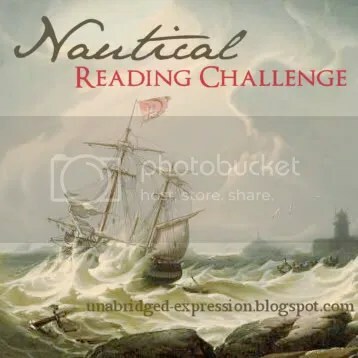 One of my reading challenges this year is nautical, so I was thrilled to find The Guardian’s latest podcast on the sea in literature, which includes a tour of a bookstore on board a ship. The Terror and Erebus have been sailing recently in virgin waters. We are advancing across a white map, drawing the landscape as if we were inventing it as we go, tracing as faithfully as possible bays, coves, headlands, naming the mountains and the rivers as if we had been cast into the middle of a new Eden–though this one is icy, sterile, and for the most part uninhabited, but even so it is up to us to recognize and christen the territory. Before we came, the grandiose scenery of ice and sky did not exist; now we are tearing it from the nothingness to which it will never return, for henceforth it has a name. If ahead of us there is only empty space, the road we have travelled is riddled with observations, summaries, detailed information; it has joined the ever growing domain of what upon this Earth belongs to us. Sorry for a week’s absence. I’ve been in bed with Jackson Brodie, on the page and on the screen. And I like him. I like him a lot. I’ve heard lots of great things about Kate Atkinson’s Started Early, Took My Dog, so I bought it and it sat on the shelf. I’ve had it on my shelf for ages because I did not want to read it out of sequence, but I also didn’t want to have to read the three previous books. Then Tanis MacDonald raved about book three in the sequence, and I decided to begin at the beginning and give the first book in the series a go. I’m doing a mystery reading challenge, after all. Amelia didn’t want to be this prudish—she felt like someone who’d missed their way and ended up in the wrong generation. She would have been much more suited to a period with structure and rank and rules, where a button undone on a glove signaled licentiousness. She could have managed quite well living within those kinds of strictures. She had read too much James and Wharton. No one in Edith Wharton’s world really wanted to be there but Amelia would have got along fine inside an Edith Wharton novel. In fact, she could have happily lived inside any novel written before the Second World War. They drove to Bamburgh and he took Marlee for a long walk on the beach. He kept his shoes and socks on (like an old man, like his father), but Marlee rolled up her gingham pedal-pushers and ran in and out of the waves. They didn’t bother going to look round the castle, even though he thought it had some kind of Harry Potter link that Marlee had been excited about initially. Jackson tended to close his ears to her incessant Harry Potter chatter (he had had a wizard-free childhood himself and failed to see the attraction). T.S. Eliot (“I grow old… I grow old.”) and Harry Potter in one paragraph! 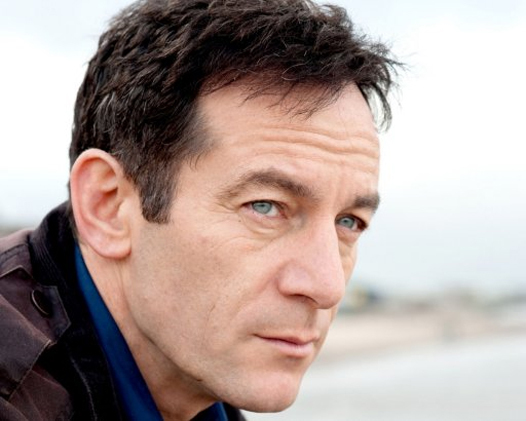 But it gets bookishly better because book Jackson may have had a wizard-free childhood, but in audiobook world, Jason Isaacs, of Lucius Malfoy fame, reads all the Jackson Brodie books. 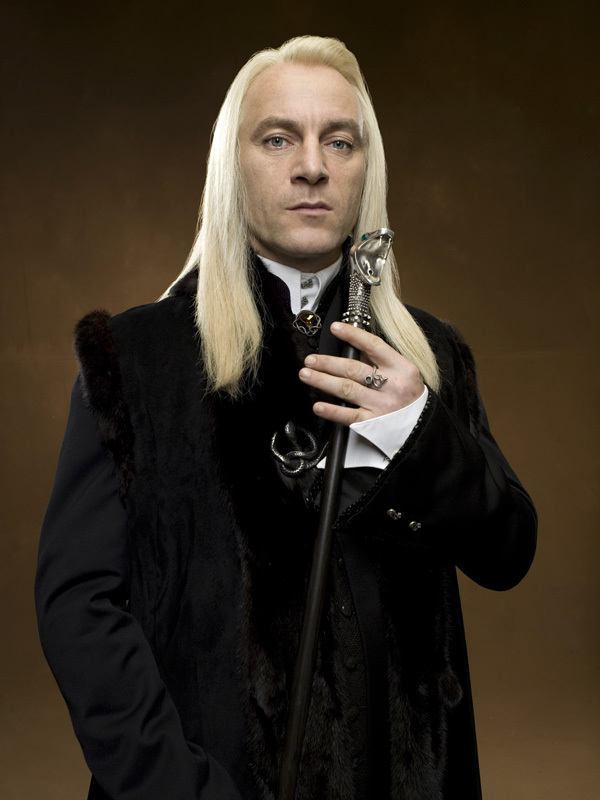 Aaaaaaand on the BBC, Jason Isaacs IS Jackson Brodie! Not that I’m a crazed addict or anything. Perhaps the less said about this the better. Oh, look! What’s that over there?! Just look at that lovely book I bought for Rowan. Trees! And just a few other books. But look at the trees! To the kids, with much mirth and wonder. How on earth did Julie Andrews come up with her interpretation of that character? Night and day. A re-read with Rowan, who surprises me with his appetite for books. He seems not to be fully attentive, then springs the most amazing questions on me. And his memory is unbelievable. He remembered that there was a moment in The Hobbit when Bilbo is knocked unconscious, a discussion a propos of hockey concussions. What’s not to love about Flavia de Luce?! I could not wait to buy this, and I got right to it. Comfort reading. Delightful. A re-read before seeing the movie (which I enjoyed but did not love). Jane as a child amazed me; Jane as an adult annoyed me. What happened to her self-possession? A Christmas gift from Ted and book club read. The book equivalent of a much-loved sitcom. No hard work involved, thoroughly enjoyable, lots of chances to laugh out loud, the hard work of writing it all hidden away under seamless comedy. I love Nick Hornby. I love him the way I love Snickers bars. Not the way I love dark chocolate. In the three months during which I was not buying books, I bought 35 books: 0 in January, 17 in February and 18 in March. 25 of those books were for the kids. So, in the three months during which I was not buying books, I bought 10 for myself. 7 of those books were work-related. So, in actual fact, in the three months during which I was not buying books, I only slipped three times. I know, I don’t buy it, either. I am going to declare the TBR Dare a qualified failure. I gave in to temptation. I bought books for the kids that could have waited, and yes, it was a way to satisfy the book-buying urge without having to cop to it. But I also read 29 books from my shelves and read in a more purposeful way than has been the case in past years. I have appreciated having the external check on my impulse buys and the push to just get on with what’s already on the bedside table. I bought several new and used Folio Society books for the kids this month. 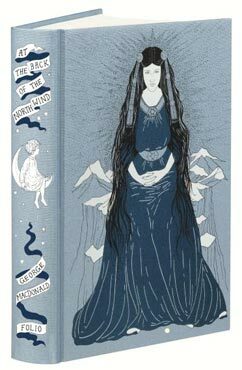 Having joined the Folio Society, I had to satisfy our membership requirements, but I also went in search of second-hand copies of books to add to our library: The Eagle of the Ninth and The Silver Branch, by Rosemary Sutclif, Sir Gawain and the Green Knight, and At the Back of the North Wind by George MacDonald. While killing time before a doctor’s appointment, I went into the Bob Miller Bookroom with Rowan and bought Coyote’s New Suit by Thomas King and Seamus Heaney’s verse translation of Beowulf. We also met Charlotte, whom I was able to thank personally for the push to join the Folio Society. I managed not to buy any books for myself in Chicago, but I did come home with a pile of them for the kids, both as souvenirs and as gifts from the Easter Bunny (shhhh): C is for Chicago by Ashleigh Deese Gramb, Looking at Pictures: An Introduction to Art for Young People by Joy Richardson, Draw Ocean Animals by Doug DuBosque, Frank Lloyd Wright for Kids by Kathleen Thorne-Thomsen, Chasing Vermeer by Blue Balliett (set in Chicago), Elephants Cannot Dance, by Mo Willems, and 123 A Child’s First Counting Book by Alison Jay. For work: Only Connect: Readings on Children’s Literature, second edition and Only Connect: Readings on Children’s Literature, third edition Ed. Sheila Egoff. The real slip: a book about books: The Pleasure of Reading Ed. Antonia Fraser. It was $7. Hardcover. I couldn’t resist. 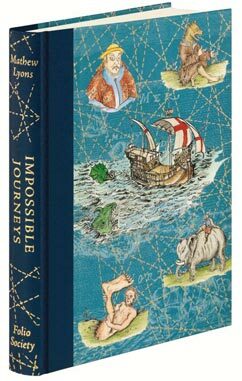 For the grown ups from the Folio Society: Impossible Journeys by Mathew Lyons and The Complete Miss Marple Short Stories by Agatha Christie. John Howe did the art for the Lord Of The Rings movies, which Rowan and Griffin have loved watching since reading The Hobbit, and I liked that bridge. I wanted to read them one of the inspirations for Tolkien’s stories, and they ate it up. I’m keening for my lost Old English knowledge. The one class in graduate school that I thought I’d never, ever come back to, and here I am wishing I could remember more. I think I’ll get the Seamus Heaney verse translation as an audio book to listen to in the car with the kids. Whodunnit, Mystery Stories Selected by Philip Pullman. A disappointment. Still Life with June by Darren Greer was a Canada Reads Independently pick, for which I’m grateful, otherwise I would not have picked it up. The story works its way to a wonderful confluence of narrative threads at the end. It was a page-turner, and the metafictional aspect of it appealed to me. Reading Women by Stephanie Staal. I got a jump on National Poetry Month and read three collections of poems in March. 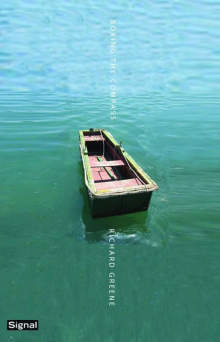 Boxing the Compass by Richard Greene won the Governor General’s award for poetry in 2010. (Full disclosure: I studied 18th Century Women Writers with Rick in grad. school). It is a marvellous selection, and “Boxing the Compass”, an elegy to his father, has become one of my favourite poems. I also re-read A Newer Wilderness by Roseanne Carrara, another a marvellous collection by a friend from UofT that had me catching my breath with awe. Joy Is So Exhausting by Susan Holbrook rounded out the three. Looking at Pictures: An Introduction to Art for Young People by Joy Richardson is an introduction to art history that Griffin and I read in a café across the street from the Art Institute of Chicago while we had an early dinner and before our Griffin/Mummy night at the museum. Wonderful. 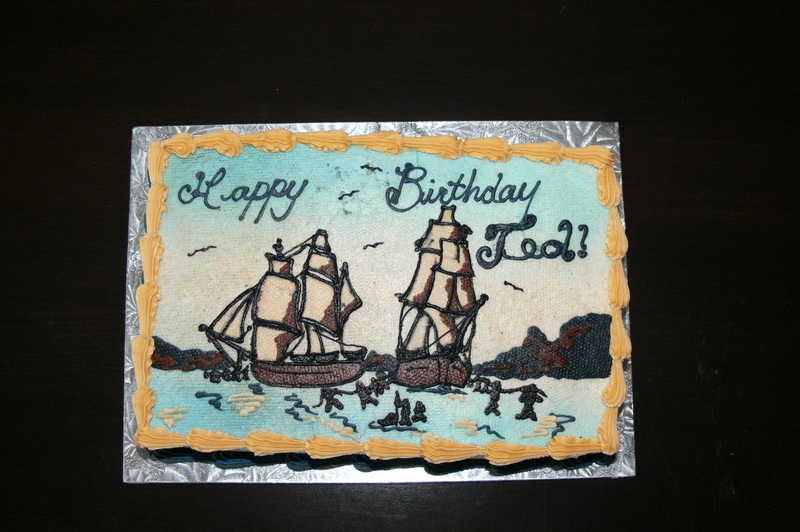 This Cake is for the Party by Sarah Seleky gave me joy in spades. Not one of the stories in this collection had an ending I would have predicted, and I very much enjoyed the rides these stories took me on. Finally, I read Clare Messud’s The Emperor’s Children for my book club. 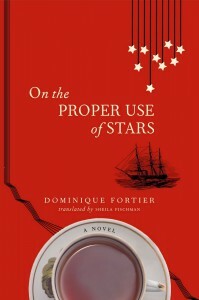 Never in all my reading life have I liked a narrator so much while at the same time having so little admiration for or connection to the characters she describes. I kept marveling at how Messud pulls it off. I will definitely read more of her. I’ve been in Chicago. 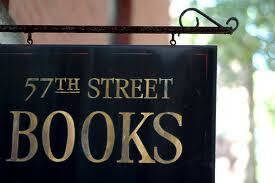 Will the temptations of a new city’s bookstores be too much for my weak willpower? Will I make it to April 1 without having to admit total defeat in the TBR Dare? Will it count if Ted buys them for me?